Mumbai: Kraft Foods Inc, North America’s largest packaged food maker, is betting big on the Indian consumer’s rising spending power as it firms up plans to become one of the top 5 food companies in the country in the coming years, in an effort to offset sluggish growth in the developed markets. The global buy of Cadbury has added popular brands such as Dairy Milk and Bournvita to Kraft’s India portfolio helping it propel growth in the world’s second fastest growing major economy. “In India, in particular we have witnessed exceptional growth..Year-to-date we are up almost 40% in this country," chairman and chief executive Irene Rosenfeld told reporters on Tuesday. The company, however, stated that the current growth rate might be difficult to sustain in the long-term. Kraft Foods has increased its investment in India in the areas of advertising & promotion, sales, capex by over 70% since it acquired Cadbury India’s operations, Rosenfeld added, without giving an absolute investment number for the year-ago period. The consumer goods maker, which plans to focus on the biscuits, chocolates, gum and candy categories in India, competes with consumer giants such as Nestle and Hindustan Unilever among others. The company which is heavily focusing on the emerging markets of India, Brazil, Russia, China and Indonesia has seen developing markets contributing 14% revenue growth and an operating income growth of 34% on a compounded annual rate for over the past couple of years. Kraft Foods, which acquired Cadbury 21 months ago, for $18.5 billion, said it was open to acquisitions in emerging markets and stated that it does not immediately plan to get more of its international brands into India. “Over time we will get more brands...But there is so much untapped opportunity for our base businesses, we will look to focus on that first," Rosenfeld said. On the integration, post the Cadbury acquisition, Rosenfeld also said that the firm was on track also to achieve $750 million of cost savings from its integration with Cadbury and will achieve 70% of that by the end of 2011. 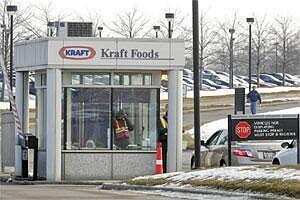 Recently, Kraft announced its plans to split its business and give its investors a chance to bet on a snacks business which is growing fast in emerging markets, or opt for stable dividends offered by a slower growing grocery business that includes Oscar Mayer lunch meat and Kraft cheese. Earlier, this month is it posted a third quarter net revenue of $13.23 billion, up from $11.86 billion and raised its full year outlook.